Groom got fancy and deposited a whole animated Jack Nicholson in the back pocket of his graphic gift. 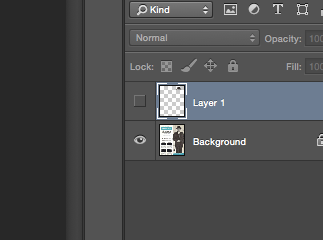 I went for a simpler idea, and I’ll admit I caved and used Photoshop. I fully endorse Groom’s advice to experiment with the free and full-featured open-source image editing tool, GIMP, but I don’t have it installed on this particular computer. I knew that what I wanted to work with was a standard icon of our noir exploration, and a quick Google search found me a page from the 1956-1957 Fall/Winter Sears Roebuck catalog. 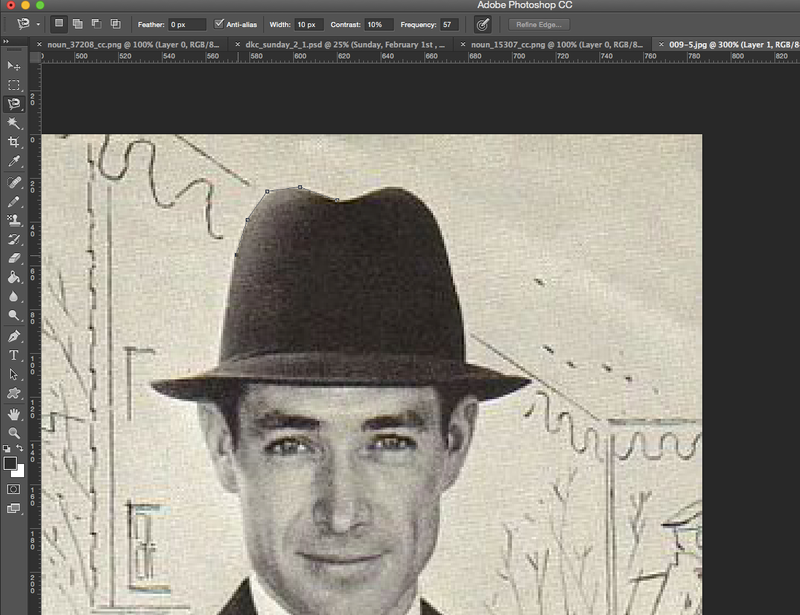 I pulled this into Photoshop, and quickly used the magic lasso tool to outline that gorgeous hat. 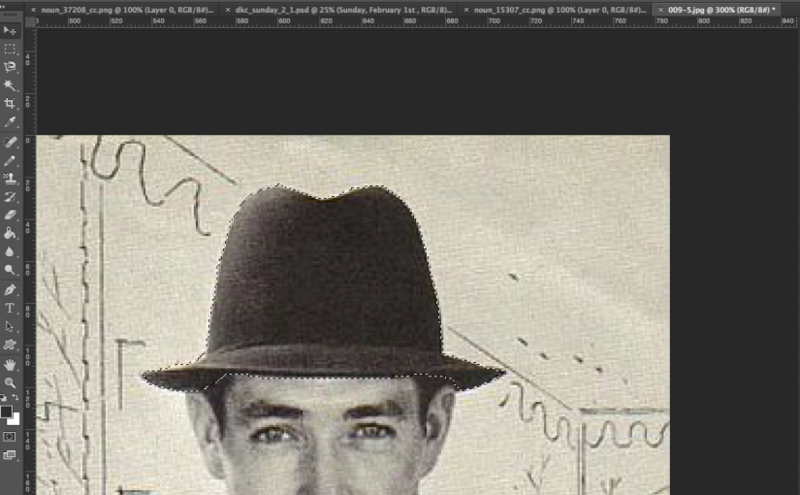 Once I had the whole thing selected, I copied it, created a new layer, and pasted it n.
I turned off visibility of that original layer, and used the Transform tool to add a jaunty angle. 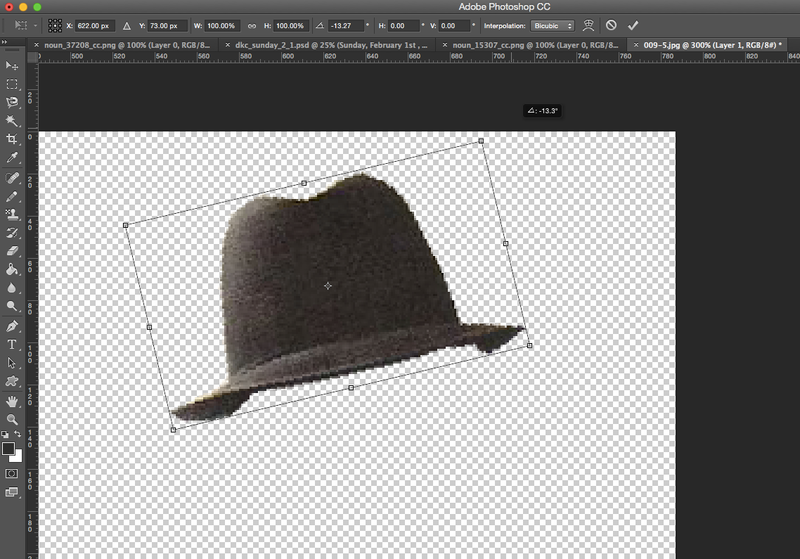 And now I can offer everyone in #noir106 this fedora icon, angled perfectly for you to use in all your visual assignments. I wish I had found a higher resolution version of the page, so that I could offer a larger version. 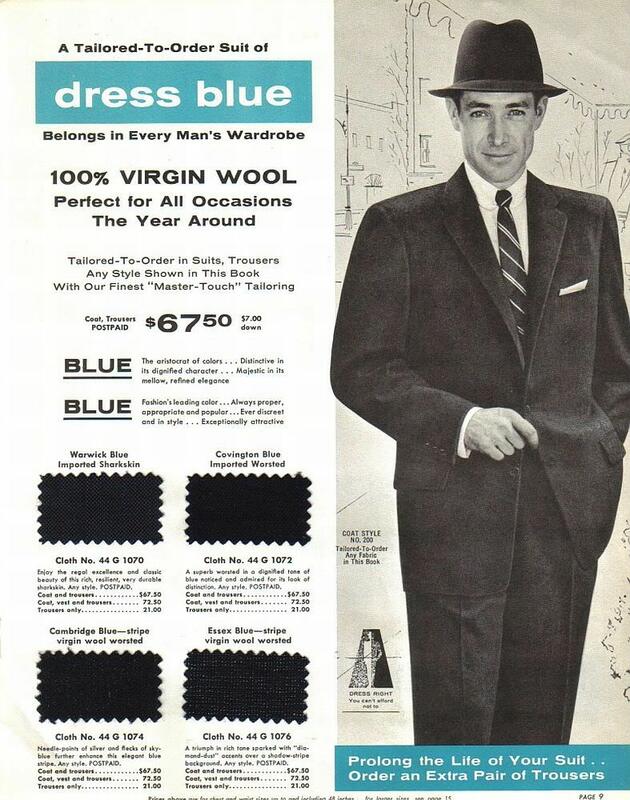 I will say that I found tons of amazing hats in old Sears Roebuck catalogs, so I think I’m going to keep doing this until I have a huge collection of vintage hats tosshare. Posted on January 30, 2015 January 30, 2015 Author adminTags ds106, hattime, noir106, visualassignments, VisualAssignments953. Fabulous idea and cleanly done! And you have actually written a tutorial as well with this one! True #ds106 spirit and soul by now sharing it explicitly with community. Kudos.